I typically participate in exercise classes so I don’t listen to music on my phone. However, with the summer schedule I have been having to find the motivation to work out at the gym on my own. I had misplaced my traditional headphones that came with my phone…. I say misplaced as I suspect a child has borrowed them indefinitely. On a few occasions I have pulled the phone off the machine because of the cord. I was thrilled when I was contacted to try AfterShokz’s Trekz Titanium wireless headphones and also provide a giveaway to my readers. All opinions are 100% my own. 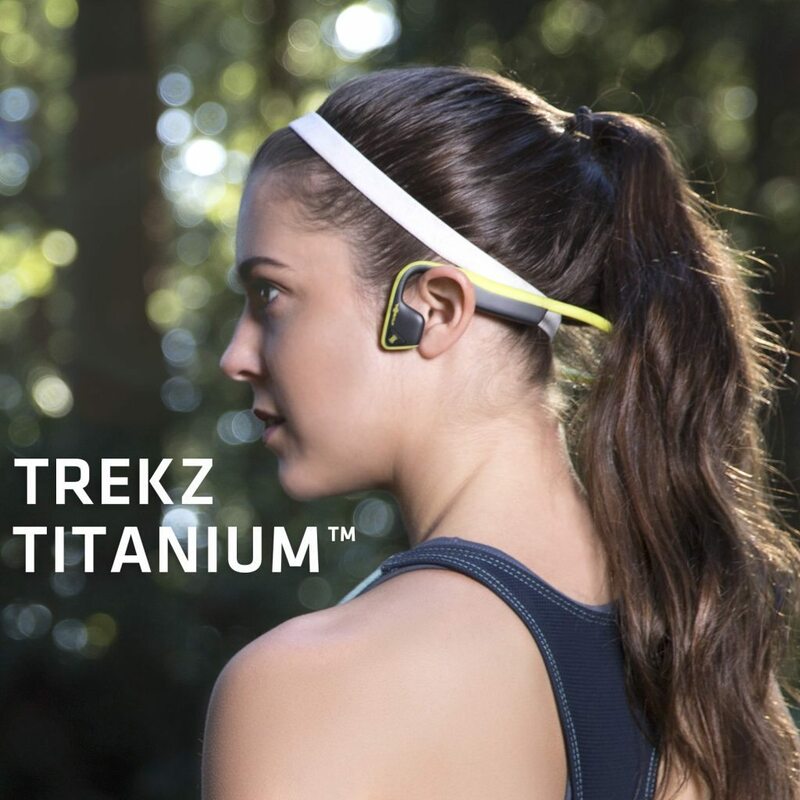 What are AfterShozk’s Trekz Titanium bone conduction wireless ​headphones ? 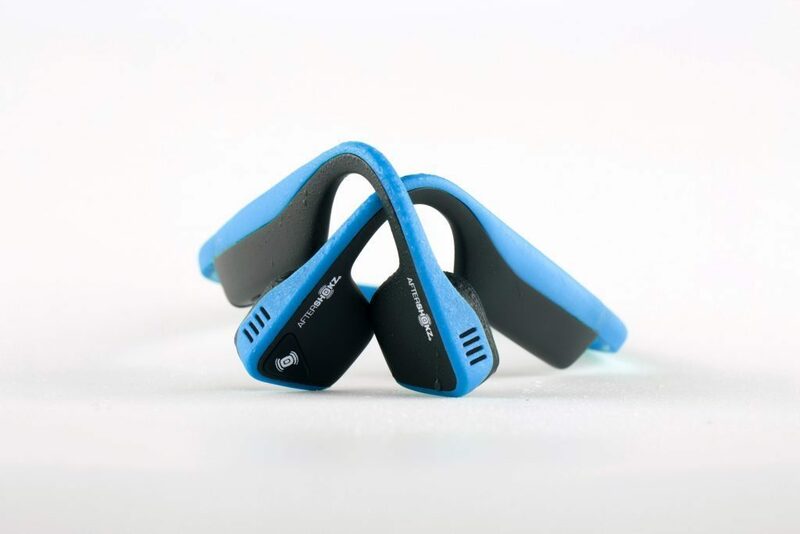 Trekz are arguably the safest way to tune in (to music or a phone call) without tuning out (surroundings). Designed to ensure the ultimate level of awareness and comfort—without compromising on premium sound—Trekz Titanium are wireless, open ear sport headphones made to ensure the safety of runners, cyclists, hikers and more. 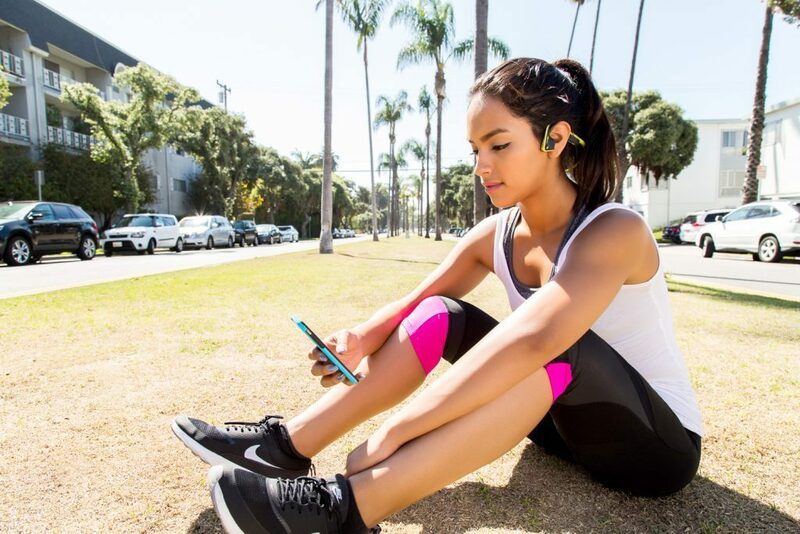 TrekzTitanium with PremiumPitch+™ delivers exceptional sound quality with AfterShokz’ patented technology, delivering dynamic range and truly powerful bass. They were easy to link with my phone’s bluetooth and I added the smaller head adjustments. I love that you can change the song right from the headphone instead of reaching for your phone. There is no chance of pulling the cord and your phone dropping or getting caught in the elliptical handle bars. Downside of any wireless headphones is that you do have the charge them. But the pros out way this as long as you charge it every couple of days to ensure you have working headphones when you need them. They come with a case to keep them safe in your gym bag or purse. One lucky reader now has the chance to win a pair of Trekz Titanium wireless headphones, valued at $129.99. Enter the rafflecopter below.